The Guardian and Observer will relaunch in tabloid format next year and outsource its print operations to Trinity Mirror. 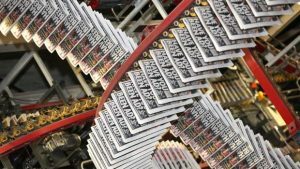 The cost-cutting move - part of a three-year plan to break even - will see Guardian Media Group (GMG), the parent company of the Guardian and Observer, selling or scrapping its three printing presses in Trafford Park in Manchester and London. The Guardian and Observer started printing in its European-style Berliner format back in 2005, when it sold 341,000 copies a day. But its average circulation in April was just 154,000, meaning its presses have become increasingly expensive to run at a time when revenue from advertising is at a nadir - The Guardian made an operating loss of £38m in 2016/17 and £57m in 2015/16. The Guardian has signed a contract for Trinity Mirror, publisher of the Manchester Evening News, Liverpool Echo and Daily Mirror, to print the titles from early next year in a move expected to generate millions of pounds in annual savings. The move to sell or scrap GMG’s three specially commissioned £80m printing presses in London and Manchester will affect 50 roles. Trinity Mirror currently has printing operations in Oldham, Teesside, Watford, Glasgow and Birmingham. “This is an important step in our three-year transformation plan,” said David Pemsel, the chief executive of GMG. Launching the Berliner format 12 years ago, The Guardian said it was foregoing the "easy short-term tabloid route", but now, with its hand forced by the realities of print publishing in the era of Google and Facebook, is doing precisely that. 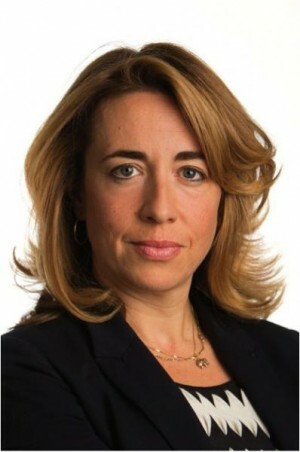 Katharine Viner, editor-in-chief of the Guardian, said: "The Berliner is a beautiful format which has served our readers brilliantly for 12 years but we know that it is our award-winning, quality, independent journalism that our readers value most, rather than the shape or the size of the newspapers.